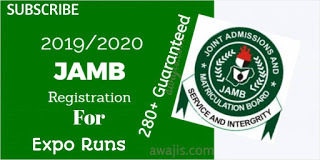 Barely one week after a mystery snake swallowed N36million from its office, the Joint Admissions and Matriculation Board, JAMB is in the news again. This time, scratch cards worth N23 million, which Nassarawa State JAMB Coordinator, Labaran Tanko, said got burnt in a car accident, have been discovered used by students to register for examinations in the state. In the new story, Nassarawa JAMB Coordinator, Tanko, said his car got burnt and the scratch cards worth N23 million were destroyed in the inferno. After an investigation by the board, Tanko admitted that the proceeds from the sales worth N23 million was in his possession, but got destroyed in a fire during a car accident. It was gathered that Tanko made this confession at a session where fraud suspects were interrogated by top officials of the board, including the Registrar, Ishaq Oloyede. The Board, which suspected foul play, was not deterred by his claim and after a thorough investigation, it discovered that the cards, which Tanko had claimed were burnt alongside his car in an accident, were used by students in Nassarawa State to register for JAMB examinations. It explained that it was easy to discover whether the scratch cards were used through simple checks by its officials. Recall that last week, a JAMB sales clerk, Philomina Chieshe, told JAMB’s Registrar and his team, who conducted fact-finding sessions on alleged fraud at the Board, that she could not account for N36 million she made in previous years before the abolition of scratch cards. 0 Response to "Another JAMB scandal:Â N23m worth of scratch card that was said to haveÂ âburntâ in car accident was actually used by students in Nasarawa"